The Nigerian winger/wing-back victor mosses has announced his decision yesterday having had a few months to reflect on the country’s World Cup campaign to retired. 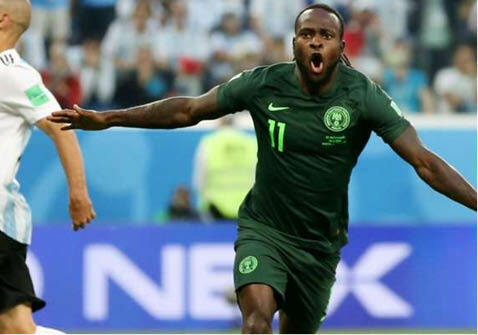 Nigeria were eliminated at the group stage in Russia after a late Marcos Rojo winner saw Argentina beat them 2-1 in their third and final match. Moses scored his country’s equaliser in that game. Earlier in his international career, he played an important role as the Super Eagles won the 2013 Africa Cup of Nations and made it to the last 16 of the 2014 World Cup.